What do you need to Know about Co-Op Energy? Choosing an energy supplier is a painful business for anyone these days, but that doesn’t mean it’s something you can avoid. With a huge amount of choice out there and such little clarity as to who offers the best service, the cheapest prices and the best customer service. From the big players like EON, British Gas, EDF, SSE and Npower to smaller suppliers like Ovo and Ecotricity, there are countless options available to the energy shopper in 2017, but what about Co-Op energy? Run by the Co-Operative group, perhaps best known for their supermarkets, Co-Op energy provides another option to customers eager to get their property hooked up. But what do you need to know about Co-Op Energy before you join? Here’s the lowdown. What do Co-Op Energy offer? Co-Op Energy offer gas and electricity separate, or as a combined tariff. One of Co-Op’s best features is allowing you to power your home with 100% green energy through their special green energy tariff. Called Green Pioneer, the tariff includes your choice of paper or paperless billing, 100% ‘green’ energy, no tie ins or exit fees, a variable rate, support for dual or single fuels and the ability to pay via a number of methods. According to customers, Co-Op Energy offers three star value for money, which puts them mid-table, when compared with the rest of the competition. Another major selling point for Co-Op Energy is the fact that unlike other energy suppliers, they’re owned and run by members of the co-operative. So, when other energy suppliers make a profit that money goes right into an executive’s pocket. At the Co-Op energy? Those profits go back to the customers and community at large, which the co-operative group support. What do Co-Op Energy customers think of the supplier? According to the Which? Switch energy guide, which polls customers of all 22 of the energy suppliers in the UK, Co-Op Energy customers ranked the company 20st of out 22. That’s obviously a very poor rating, and puts Co-Op Energy only above Npower and Scottish Power – two energy companies with a truly rotten rating of just 41% and 44% respectively. Though the Co-Op has 45% satisfaction, that’s enough to put it below the likes of SSE, Eon, British Gas, EDF and more. Co-Op customers rated the company just two stars for customer service and billing. The story improved for value for money and helping customers to save energy, which were both rated three stars. However the company scored appallingly for complaints handling, managing just a single star. How can you get in touch with Co-Op Energy? Getting in touch with Co-Operative Energy is as easy as using the contact telephone number that is listed on this website. 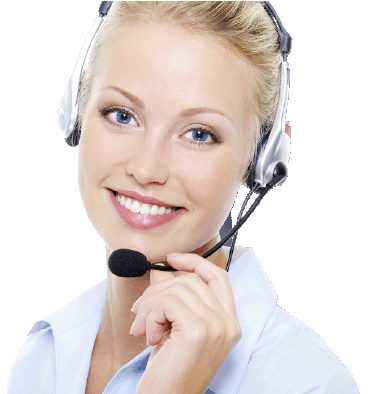 Alternatively, you can visit their customer support centre where frequently asked questions are addressed.